Beth got word yesterday that her dissertation has been defended and approved. She is officially a PhD. Yay! Way to go, Beth! A new sign for her office door. Now we have two doctors in the family! Brent is already a doctor. In our family group text, we swapped a gif that said “Once you have a PhD, every meeting you go to becomes a doctor’s appointment” Ha! I’m going to have all kinds of doctor’s appointments this summer! 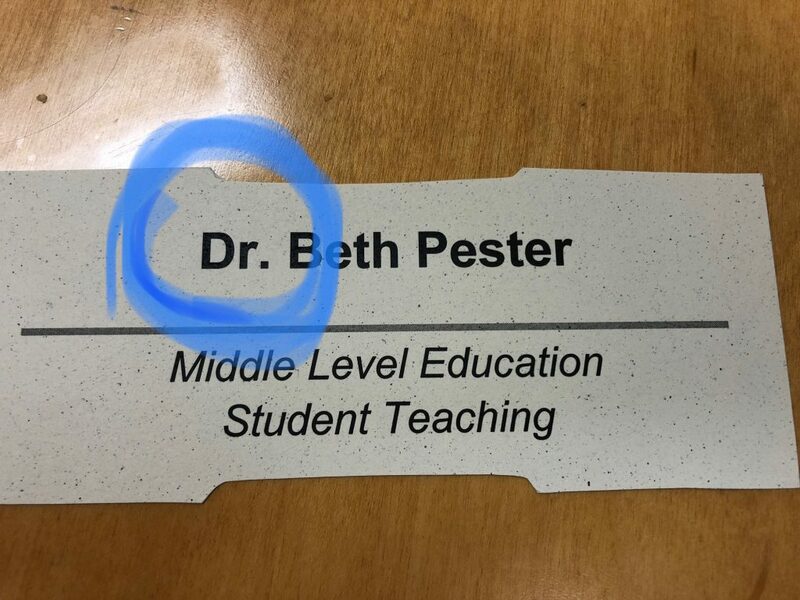 Congrats to Dr. Beth Pester! Brad, does this mean you have to sit at the non-doctor’s table at family dinners?